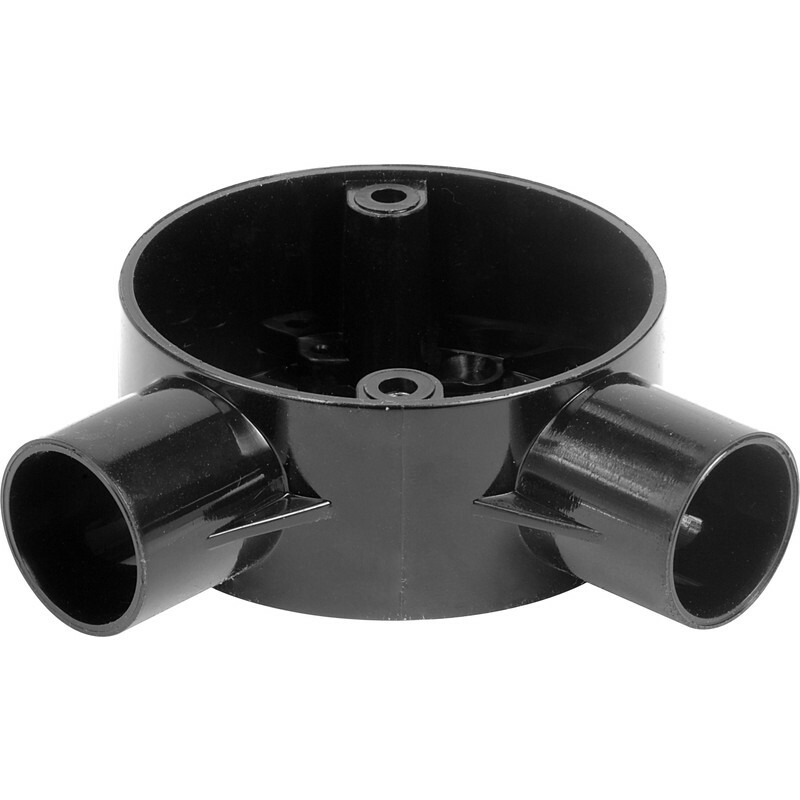 20mm PVC Conduit Box Angle Black is rated 3.5 out of 5 by 17. Rated 4 out of 5 by Bcivil from Good for internal use I have used these plastic conduit boxes for a 12 volt internal lighting system in my shed. I found that metal 20 mm conduit fitted quite well into each box. One issue I found was that I needed to purchase short machine screws to secure the lids. I painted the whole set up with a lick of aluminium paint and it looks good. Rated 3 out of 5 by Paulusc from Excellent piece of kit, but only half the solution These are really good fittings; well made and fit for purpose BUT why don't they come complete with lid, gasket and screws? Just makes for extra ordering (and they're useless without them!) . Rated 5 out of 5 by cossack777 from Perfect. I purchased loads of these before from Toolstation but i was one short. They are for a false wire system i am installing and really look perfect. Rated 1 out of 5 by Mr Frustrated from BEWARE!! Does not come with a lid or gasket or screws. Has to be bought seperately. The 2 screws cannot be bought (only in a bag of 100). Ridiculous.